Upgrade to the best. Choose solid or engineered San Antonio hardwood flooring that increases the value and aesthetics of your residential or commercial space. Our inventory includes a number of species, glosses, and stains for you to choose from, so you can find the type that's just right for your project. For our full list of products, please contact us or come by our warehouse and discover why locals make us their only flooring source. No matter what kind of aesthetic you want to achieve, our showroom has the selection that will satisfy your interior design visions. Plus, most of our wood products come packaged with a 20- to 30-year warranty. We are committed to ensuring your peace of mind and are here to help you find the wood floors that enhance the elegance of your space. Find the look and hardwood floor discount in San Antonio you seek! Come by today and peruse our selection of engineered planks and tiles. San Antonio clients take advantages of our wood flooring installation, as we can typically install your new floors within 1 week. Our professional contractors have years of experience properly placing wood materials. Feel confident that we guarantee installation warranty for a year, and all the brands we carry have manufacturer warranty. 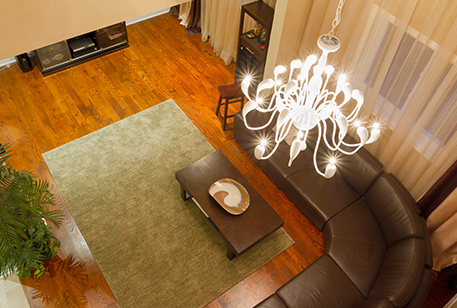 Call us today at (210) 787-5626 to receive a free estimate on your discount hardwood flooring in San Antonio. We proudly serve clients in San Antonio, Helotes, Stone Oak, Leon Valley, Alamo Heights, Balcones Heights, La Cantera, the Dominion, Rolling Oaks, Universal City, and Converse, TX.